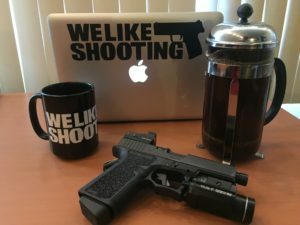 The Glock 19 is the Honda Civic of the handgun world. They’re affordable, reliable, and very utilitarian. They’re not especially pretty or refined, but they’ll work when you need them to. Likely the most popular of Glock’s pistols, the model 19 finds itself in a convenient niche. A balance between usability, Conceal ability, and capacity means that it is the pistol that many pistols are modeled after. And while Glock refers to their pistols as perfection, we all know that firearms doctrine changes faster than many manufacturing giants can keep up with. As a result, countless companies have sprung up to customize the popular little pistols. 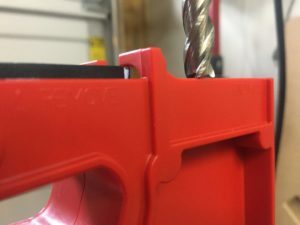 Companies offering modifications to allow a higher grip, and more aggressive texture, or even a grip angle that the owner of the firearm prefers. These companies are as numerous and easy to find as the pistols themselves. 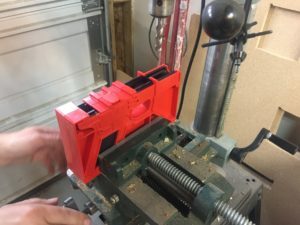 Unfortunately, you have to send the frame away to have the work done, putting the firearm out of commission until the frame is returned to you. And of course, the price of custom hand done work can sometimes be significant. Some companies have found a market in factory customized frames, such as the Timberwolf frame manufactured by Lonewolf. However, as the frame is the ATF control portion of the firearm, it requires shipping to an FFL, transfer paperwork, and typically a fee. 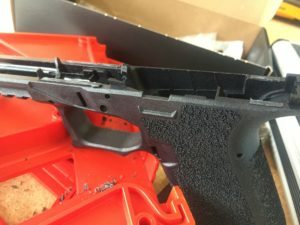 The Polymer80 frame addresses and fixes these issues. As the frame is technically 80% complete and not a firearm it can be mailed directly to your door. Obviously, this makes it significantly more convenient than completed frames from other companies. 80% receivers are not a new item on the firearm market. A few years ago 80% AR-15 receivers were abundant. I’ve never been enthusiastic about 80% AR-15 receivers, as they often offer no cost savings over purchasing a completed lower from a licensed firearms dealer. Not to mention machining them out is a hassle I would personally rather not deal with. By the time I’ve paid for the thing, had it shipped to my house, bought a jig a tooling, and then actually cut the thing out I could have just ordered a complete lower. 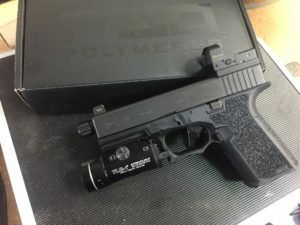 Polymer 80 has addressed those problems with their new kit. The kit includes the frame, a jig, and all of the necessary tooling. At $119.99 from Brownells, this represents an excellent value when compared to having a Glock factory frame modified. While the Glock 19 is an affordable and reliable pistol, it isn’t the most ergonomic pistol. The Glock name rhymes with block, which seems appropriate. For many, the finger grooves are improperly placed. The hump at the back of the grip results in a less than ideal grip angle. The beavertail is short and leads to slide bite for people with a little extra meat in their hands. The shape of the trigger guard prevents a particularly high grip. The width of the grip means that for someone with medium sized hands it’s impossible to release the magazine without rolling the gun in my hand slightly. The Polymer80 frame addresses all of these issues. They’ve done away with the finger grooves, meaning that it no longer matters how your fingers are spaced on the frame. The hump on the back of the grip has been removed, allowing for a grip angle identical to that of the 1911. The beavertail has been extended, meaning that the hand is not only protected from slide bite, but the body now has more leverage over the firearm. 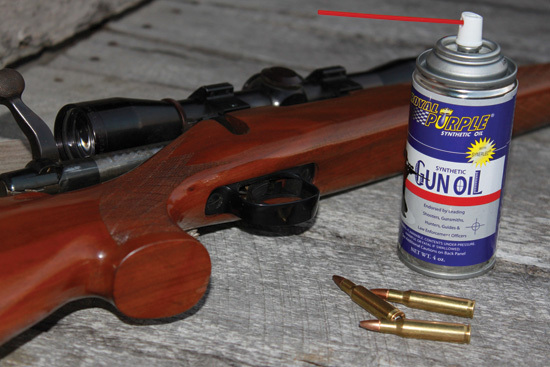 The trigger guard has been given what is known as a double undercut allowing not only a higher grip with the dominant hand but also providing a nice reference notch for the non-dominant hand to slide into. The area around the magazine release has been recessed, making it a little easier to reach with less than massive hands. The frame’s standard 1913 rail allows for a wider range of accessories to be mounted. While most of these modifications can be carried out on a factory frame, the cost usually starts around $100 and can quickly jump. Not to mention wait times. Here you can see the frame and included jug chucked in a drill press and ready to cut. Here the end mill depth is being set. This was definitely the slowest way I could have done this. Having completed I now know that the next one I’ll simply use a Dremel on. Here you can see the frame pulled from the jig. I wanted to leave the pads on the frame and the bridge as in tact as possible so I could remove material as necessary by hand. It proved to be unnecessary. 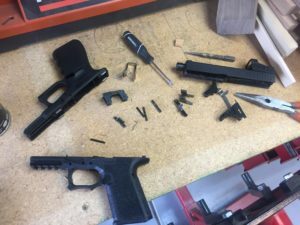 Stripping parts from the Glock 19 and installing them in the Polymer80 PF940C. Luck! Do you have a Dremel? 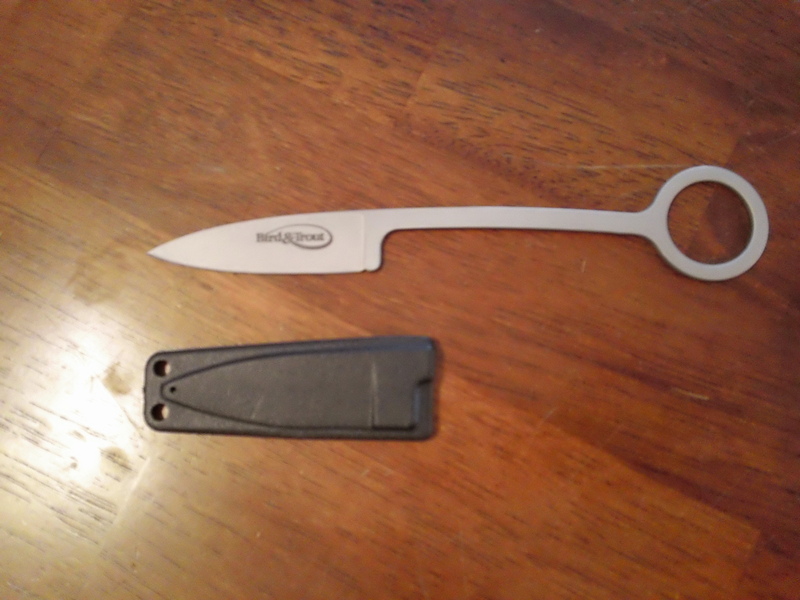 What about a fresh blade for that utility knife you’ve got in your kitchen junk drawer? A razor blade and a drill (even one of those old school manual drills) are all you really need. The whole process takes only a few minutes. A few plastic rail need to be cut off, a bridge removed, and a couple holes drilled. If you’re determined you could complete the process in 15 minutes. I cut out and assembled my frame in an hour or so. And that was with a decent amount of horseplay.The frame comes with a custom locking block and an insert that wraps around the trigger housing. Both include steel frame rails. Here the frame is shown with my trusty TLR-1, a Silencer Co barrel, an Apex trigger, and a temporarily mounted Burris Fast Fire 3. At this point, I’ve got about 2500 rounds through this frame, and I have to say, I love it. It’s been reliable and tough, and in all that time it doesn’t show any major wear or signs of damage. The frame is available with a nice aggressive texture or a smooth model that is set up for those that want to practice their stippling. In fact, the only complaint I can come up with is that the texture on the frame gets to my hands after 400 rounds or so. It’s not painful, but it starts to get a little uncomfortable. However, it’s no worse than the texture on the Gen 4 frames. Polymer80 even included a little metal plate so that you can serialize the frames if you’re into that sort of thing. With the ease of completion, the improved ergonomics, and the reasonable cost, this frame is a no brainer. 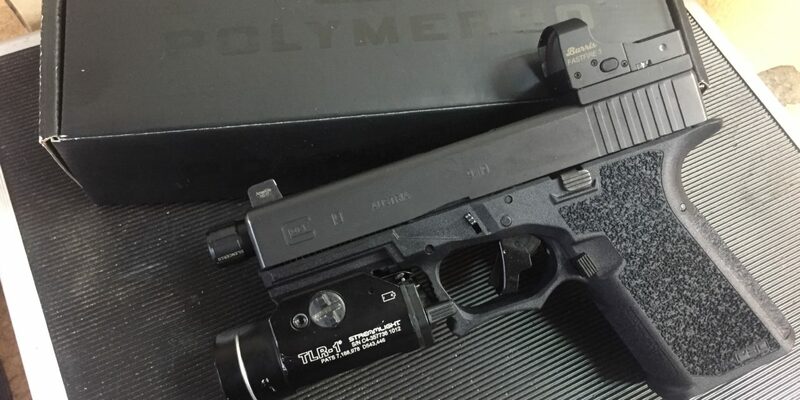 I highly encourage anyone interested in building or modifying a Glock 19 to pick one up. NextCivilian Medical: Part 1 – Introduction And Purpose Of This Series.